Walnuts, flaxseed and chia seeds are healthy and safe omega-3 sources. 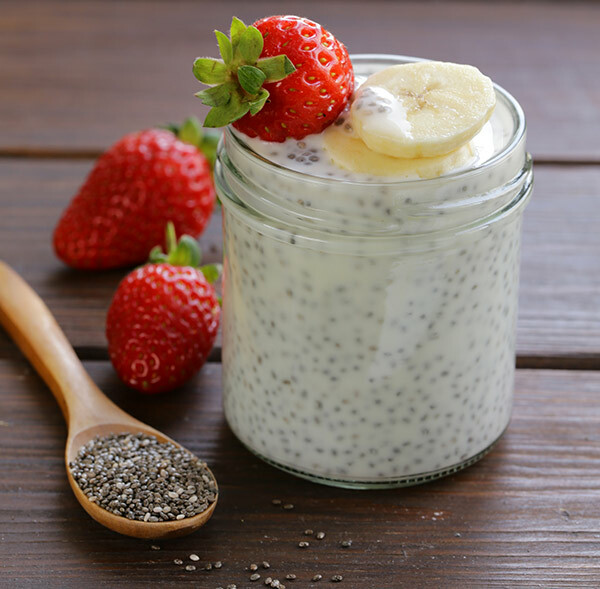 You can sprinkle them on salad, blend them into smoothies or even make them into pudding! Alpha-linolenic acid (ALA), found in various plant foods, is the least active form in the body. DHA and EPA, the more active forms, are found in deep-water seaweed, and also in the fish who consume them. Our bodies can use plant-based omega-3s instead of animal-based, but to do this sufficiently, they require very concentrated omega-3 sources. There is no need to take an omega-3 supplement unless you are pregnant, breastfeeding or have high levels of blood lipids. Several companies make plant-based supplements. Omega-3s are a complex topic – if you'd like to know more, ask in the group and one of our dietitians will be happy to help.